The weekend news had an interesting contrast - one couple was featured for spending half a million on their lavish fairytale wedding, whereas another held their own budget wedding for $100 per head instead. 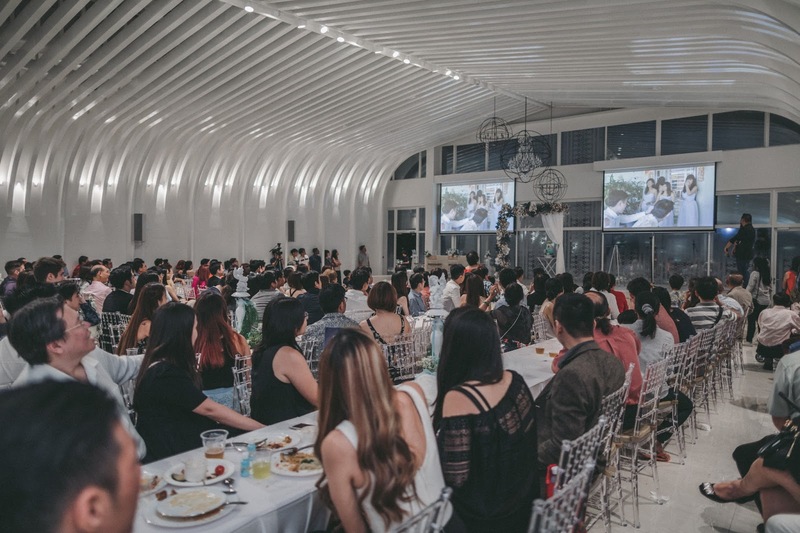 But while I believe in creating a memorable wedding, I personally refuse to fall prey to societal norms where Millennials spend extravagant amounts just to achieve an Instagram-perfect wedding. From bridesmaids proposals to engagement parties and finally the wedding reception, I have to admit that while they all look very fine and dandy on social media, mere mortals like myself simply cannot afford the hefty price tag in trying to keep up with such trends. People were reassuring us that we didn't have to worry as we would be able to "recoup" our banquet costs, but I don't believe that any couple should expect their guests to cover their costs for them. 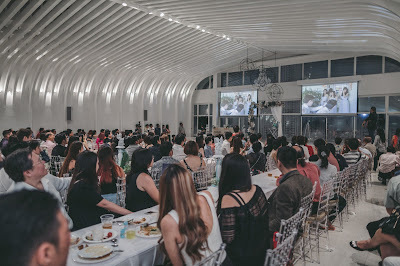 If a couple chooses to hold an expensive wedding, why should the guests be penalized by having to fork out bigger ang paos? When you have more guests, you'll also naturally be spending more since you'll need to find a bigger venue and feed more mouths. 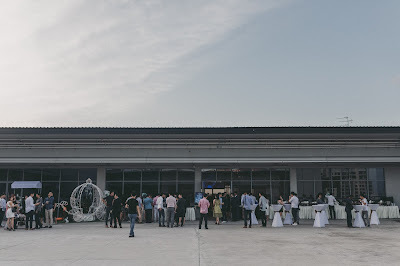 We had a party of 300 guests so we were eventually down to $40k - $50k options depending on whether we went with a restaurant, a cafe or a hotel banquet. It took me a whole year to save $20k, so there's absolutely no way I'm spending $40k on a one-day affair! 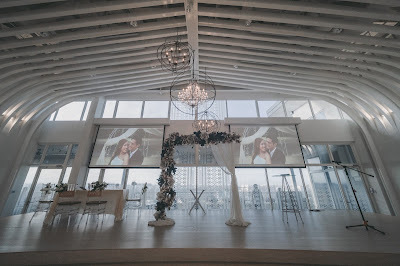 I wasn't convinced that I couldn't pull my wedding off for under $100 a head, but since I wasn't having much luck with the hotels and cafes, I decided to organise my own wedding from scratch. The key was to look for alternative venues and vendors who could offer me quality at a fraction of the wedding industry's normal prices. The first thing I did was to source for an event space that I could rent and decorate. I looked at options like The Arts House and Hort Park, but eventually settled with The Chapel @ Imaginarium. It fit perfectly into my vision of executing a Cinderella-themed wedding. Next came the tables and decor. 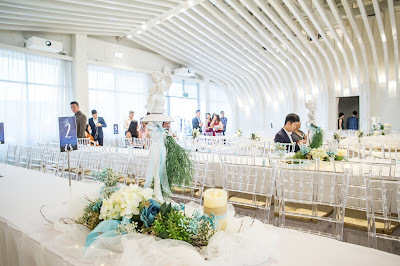 Given that The Chapel was relatively new, they didn't have any table set-ups that I could choose from, and I eventually became the first bride to bring in my own floral arch and tables to create my own banquet layout. To maximise the space available, I designed my own floor plan comprising of a mixture of long and cocktail tables rented from Singapore Tentage. For the decor, I engaged two wedding vendors - InsidetheKnot to handle all the flowers, and Floral Artisan to take charge of the table arrangements and outdoor reception styling. 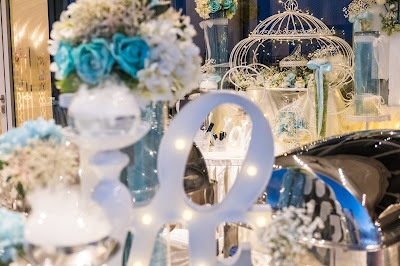 To fit my Cinderella theme, they even brought in a life-sized pumpkin carriage was even brought in and decorated with fairy-lights to serve as a photo opportunity area for the guests in place of the usual photo booth. 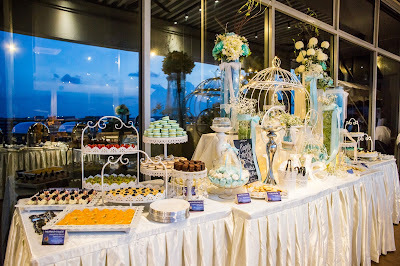 My husband's only requirement for the food was that he wanted live food stations for the guests, ideally with a touch of Singaporean flavour, whereas my priority was on getting a wide variety of dishes for our guests and having it buffet-style so we could save on plating and waitressing costs. It would also make for a more interactive wedding reception if the guests were moving around to mingle and get food. We first looked at restaurants which cater to wedding venues like Chjimes, but their packages were too pricey, so we decided to look for food caterers instead. After enquiring with over 10 different caterers including Megu Weddings and Orange Clove (whose prices vs. quality just didn't meet our criteria), we found the perfect wedding caterer in the form of Manna Pot Catering. 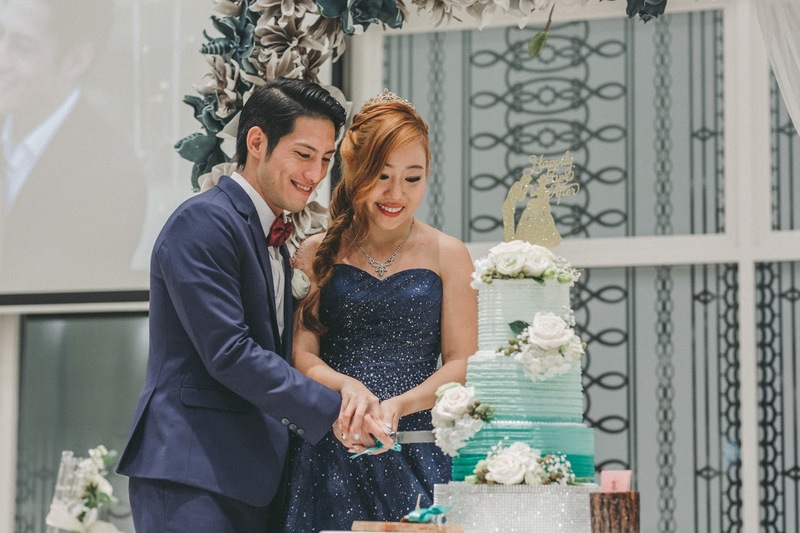 We therefore managed to get 8 mains for the buffet line, 3 live food stations (a laksa station, a carved meats selection and a gelato ice-cream cart) and even a themed dessert table with over 500 servings of marcarons, brownies, meringue, cupcakes and more! For the alcohol, we got a barrel of beer from Six Drunk Men and brought our own bottles of red wine for the guests to enjoy. Whereas many cake artists quoted me over $1000 for a 3-tiered wedding cake, I found mine for $350 instead. By opting for an alternative venue and a food caterer, as well as engaging all the other lesser-known vendors who didn't price their offerings at sky-high margins, we managed to pull off our fairytale wedding for $88 per head. This included all the products and services I listed above. I didn't believe that I needed to wipe out years of savings for our wedding, and we did it. A lot of our guests came up to us to rave about the food and decor, with many commenting that the quality and taste were much classier than most hotel weddings they've attended before. 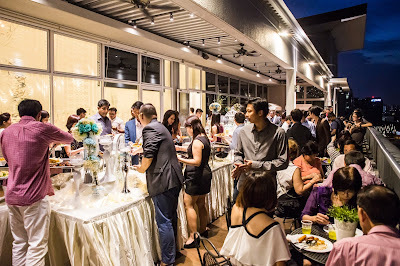 Many of them thought we had engaged a high-end restaurant like Tung Lok for the food, and were surprised when I told them it was a food caterer instead. While other couples may be able to afford to splurge 6-digits to achieve a fairytale wedding, I refused to believe I wasn't able to do the same for lesser than what a typical wedding in Singapore costs, and this was the end result. Although it did take some time to convince our parents not to go down the hotel route and that catering food doesn't compromise on the quality at all, it was all worth it for the perfect wedding on a budget in the end. You can also see our wedding video here, which was shot by Zake Productions. 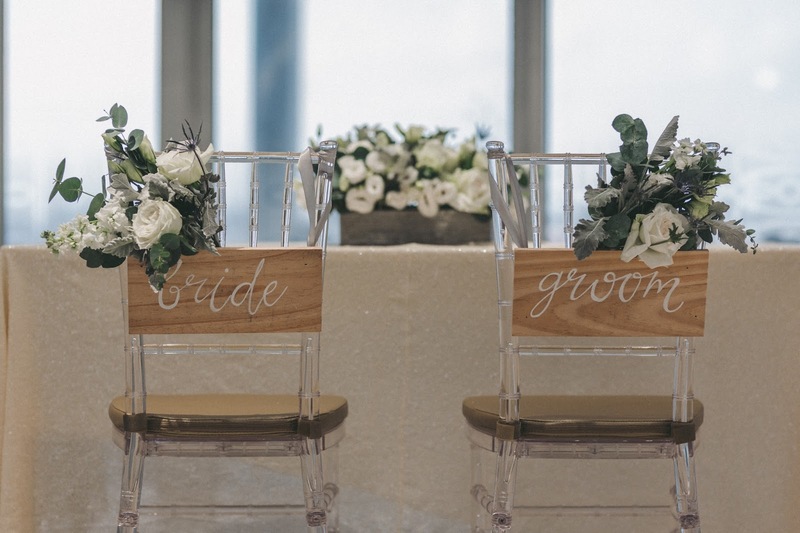 Who says budget weddings will necessarily look cheap? With all the glorification of lavish weddings and by the media and celebrity influencers, the sky may be the limit for weddings expenses, but you don't have to feel compelled to give in to social media expectations of an Instagram-worthy wedding. After all, there is no end to social media envy and comparison. 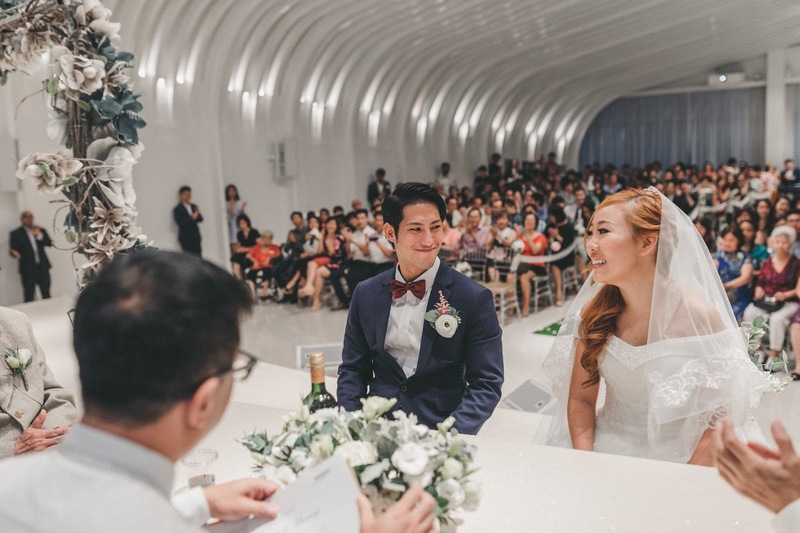 Instead, as long as you focus on what truly matters and you're willing to explore alternative wedding options instead of the hotel norms, it is definitely possible to pull off your own wedding in Singapore for under $100 per guest. Keep your party of guests to under 100, and you can even reduce this further to $50 per head. 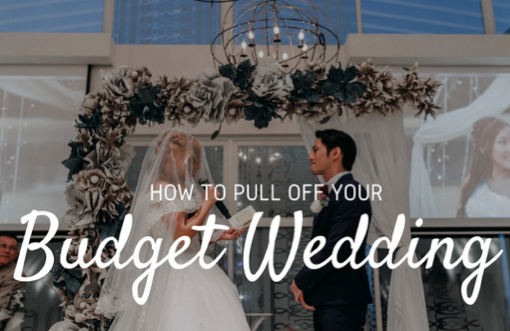 I hope this inspires more of you to go down this budget-friendly route to putting together your big day. Have fun! 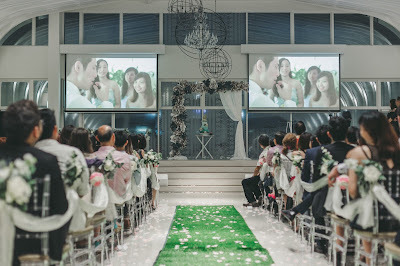 Dawn's wedding (or Budget Babe as some of us in the financial community know her as) is a good example of how couples in Singapore can still plan their own dream wedding at a reasonable cost, as long as they are able to spend a little time researching and planning it on their own, rather than to turn to traditional options such as hotels or typical wedding caterers. Her wedding venue was beautiful and the food, reallyyyy good. The self-serving beer counter was very clever (and affordable!) and the ice-cream stand was AMAZING! The biggest thing that struck me in this wedding was that it was set more like a social gathering. Food was tasty and modern but not the usual typical Chinese food wedding. For the decor, I think it was very unique especially when you enter the church and there was an alfresco area for people to chill and hangout too. There are less formalities and ultimately a good duration and setting for modern day wedding! This is a really good and inspiring article, especially for someone who is looking to pull off a diy wedding. Thank you budget babe! Glad you found this useful :) good luck with organising your own! Thanks for sharing! Would you mind sharing who paid for the wedding and did you recoup your costs from angbaos? Erm if you're insinuating whether our parents paid for it, the answer is no. We didn't take a single cent from our parents for the banquet - the only money the mothers spent was on our Guo Da Li and the ang paos they gave to the bridal entourage which is a customary practice. Everything else came out of our own savings. For the ang paos, the median amounts given were $50 and $80 from our friends and colleagues. Close family and relatives gave $100 and up, but I don't have the figures as my mom took all the ang paos given by our side of the family. Apparently this is another customary practice known as the "ping li". Because of the ang paos kept by my mom, with the remaining ang paos that we actually got to keep, we did not recoup costs for the banquet. There were also some guests who gave $10 and $30 ang paos so maybe that's why, but it doesn't matter because we were prepared to pay at least half or more of the costs if it called for it. The wedding costs were also split 50-50 between my husband and I in case you were wondering whether the groom paid for everything. Indeed, I agree with you that guests shouldn't be made to pay for the celebration. I personally would just treat the angbaos as bonuses but many others think otherwise. Was just wondering what are the trends for weddings these days. Very impressed with how you managed it. As Buffett says, price is what you pay value is what you get. I think you got much value out of this. Happy marriage to both of you! The effort you put in must be incredible. Thumbs up! Congrats on your wedding :) Would you be able to share who you engaged for your wedding cake please? We had our wedding here and couldn’t have asked for anything more than what we got with the chef and staff. The food at Los Angeles wedding venues was amazing and my family is still raving about how great it was. The staff was so on top of everything.